Pet Passages is unique in that the company branches out to create an affiliate network of its service. 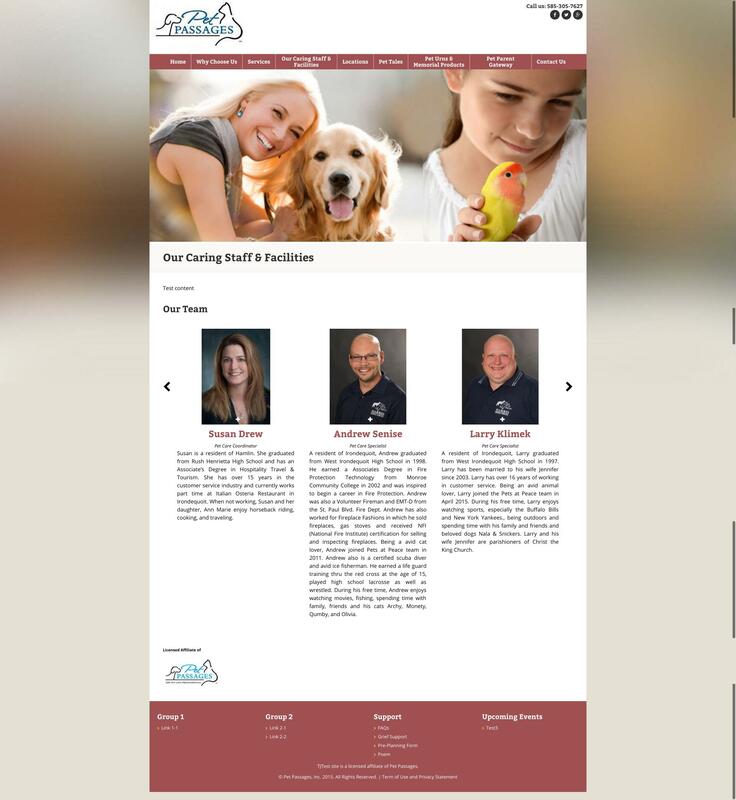 Companies specializing with animals, such as animal hospitals, around the US, and recently extending to Canada, are partnering to become a Pet Passages affiliate. Their business model is changing and will soon become comprised of affiliates and franchisees. Our work with Pet Passages started last year, for a phase 1 project, which was to take their current front end theme, and make it responsive. The theme was developed before the days of responsive design. Once that was completed, we moved onto phase 2, which was to develop a new theme and provide its affiliates with more features. We worked on a method to have each affiliate to be able to choose their own template. 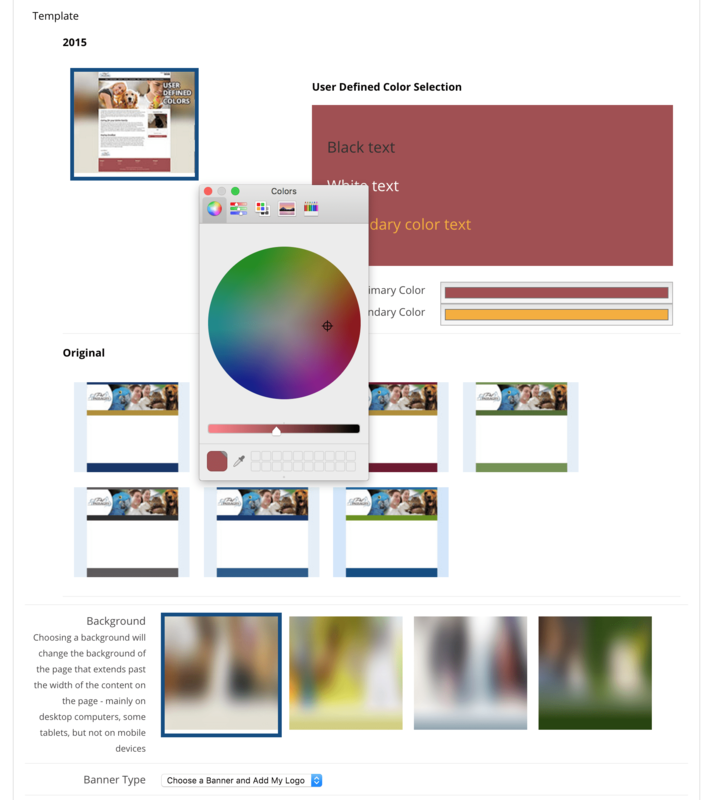 The original template had numerous color schemes you could choose, and the new theme has a fully customizable, color wheel selector, where affiliates can choose the exact primary and secondary colors they’d like to choose. In the newly developed theme, they can also choose from a few blurred backgrounds to give their site some more depth. 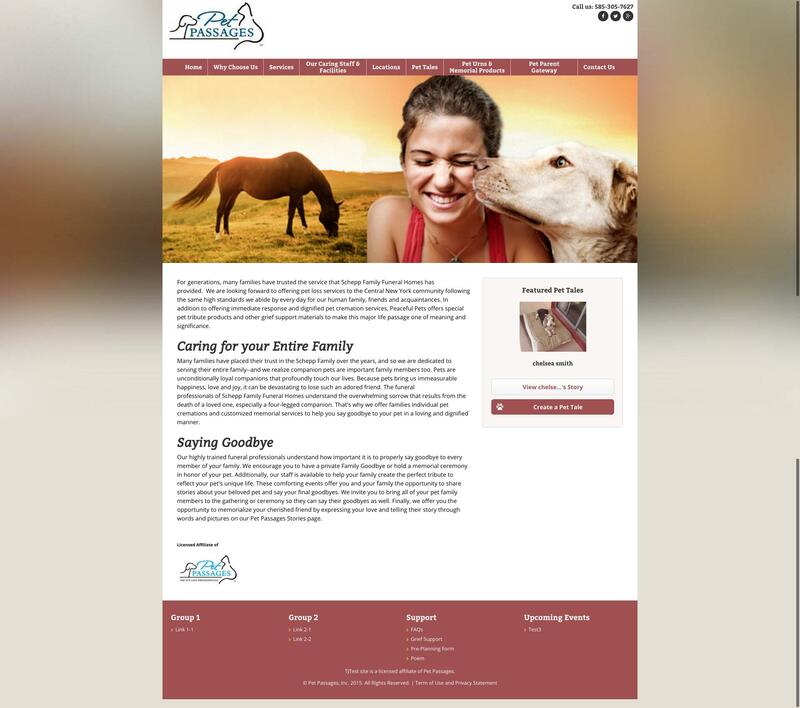 Nevis Technology worked through their custom designed system from years ago, making the wishlist Pet Passages wanted completed no problem at all. We will soon be continuing onto phase 3 which carries the theme selection onto their ecommerce platform – which is a separate website, designed to look like the affiliate sites.